for $295,000 with 1 full bath. This 20,494 square foot building was built in 1982 on a lot size of 1.1900 Acre(s). 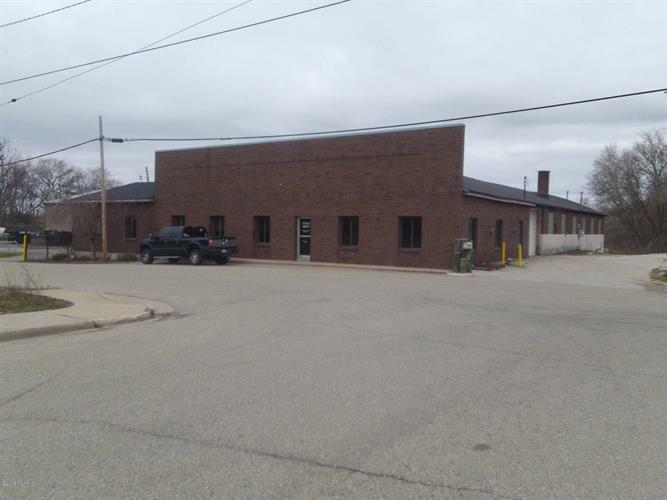 Great opportunity to own a large Commercial building half way between Grand Rapids and Muskegon! Large office space with bathroom already finished. Framed in for reception center, 2 more offices and plumbed for 4 additional restrooms. Ceiling heights range from 8 Ft to 16 Ft. and has several overhead doors, including 2 loading docks! There is a Basement and upstairs for different storage options. Many possibilities for this building as it has office space, storage space, repair and warehouseoptions!Owner has updated appraisal that shows $320, 000.